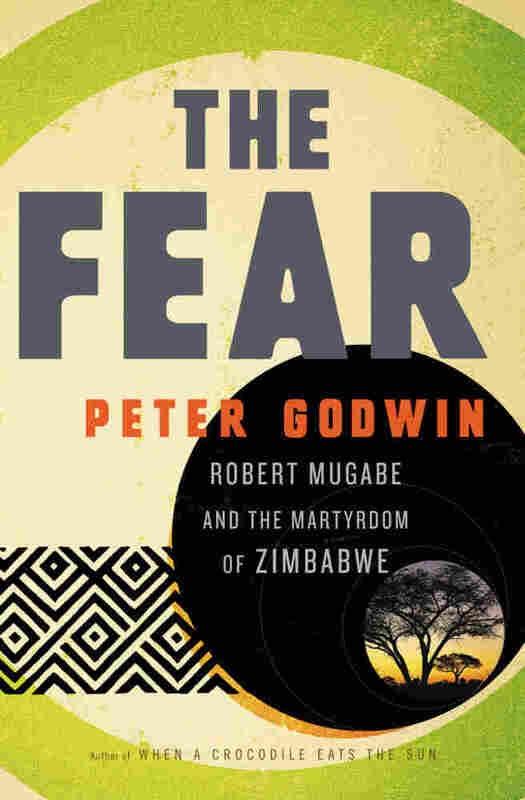 Peter Godwin — 'The Fear: Robert Mugabe and the Martyrdom of Zimbabwe African journalist Peter Godwin returned to his native Zimbabwe in 2008 to follow the presidential election. He writes about President Robert Mugabe's refusal to give up power — and Mugabe's torture campaign against opposition supporters — in The Fear. 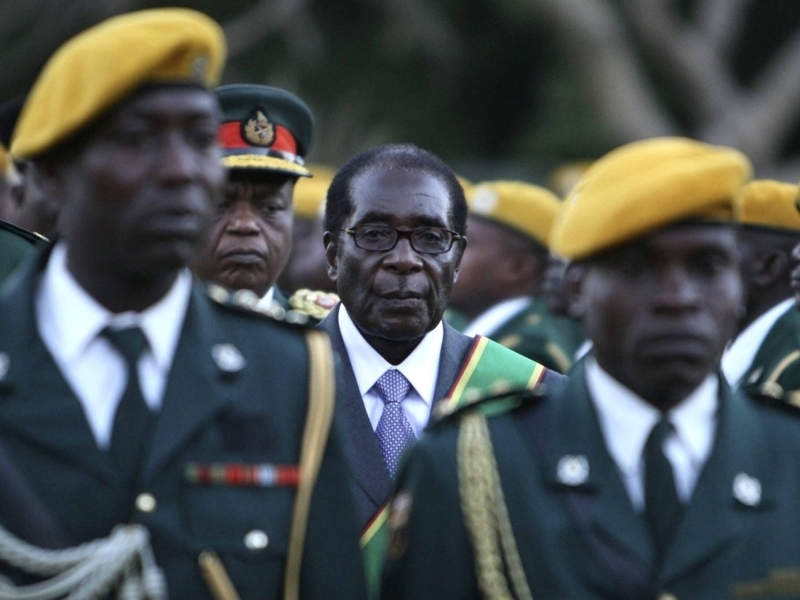 Zimbabwean President Robert Mugabe stands at his 2008 inauguration ceremony at the statehouse in Harare. When journalist Peter Godwin snuck into his native Zimbabwe after President Robert Mugabe lost a 2008 election, he writes, he expected "to dance on Robert Mugabe's political grave." But that was before Mugabe — the then 84-year-old leader of Zimbabwe — refused to give up power. And it was before Mugabe insisted on a runoff election between himself and the leading opposition candidate, Morgan Tsvangirai, and then unleashed armed supporters on anyone affiliated with the opposition party, called the MDC. Dubbed "Operation Let Us Finish Them Off," Mugabe's campaign tortured tens of thousands of Zimbabweans and killed hundreds more. Godwin secretly stayed in Zimbabwe, visiting opposition leaders, white farmers whose land had been confiscated by Mugabe, and villages that had been burned beyond recognition. He details his time on the ground bearing witness to Mugabe's torture — and remembers his own childhood in the African nation — in The Fear: Robert Mugabe and the Martyrdom of Zimbabwe. The title, he writes, comes from the word chidudu — meaning fear — which Zimbabweans used to describe Mugabe's torture campaign to intimidate those who voted against him. "They tortured tens of thousands of people," Godwin tells Fresh Air's Terry Gross. But interestingly, they didn't kill thousands of people. They killed hundreds of people, but they tortured vast numbers of people. And then they released them back to their communities so they acted like human billboards — they were advertisements for what happens if you oppose the regime." Godwin also visited hospitals where ward after ward and floor after floor housed torture victims with defensive wounds, mainly from staving off machete or ax attacks. "It got to the stage where, when I was interviewing [the victims,] I knew what they were going to say next because I had spoken to so many others," he says. "It was such a pattern. It was literally like a torture factory." Godwin says he hopes his reporting helps the story of the Zimbabwean massacres reach a wider audience. "By banning Western journalists and by generally making it very hard to report and making [Zimbabwe] very hard to access, Mugabe had managed to smother the story," he says. "The story of these atrocities and this human rights abuse is not nearly well-enough known as it should be. ... And I think that the stories that these people tell ... I found utterly inspirational, and I felt ashamed in a way for not doing more." On why Zimbabwe was ranked last in the international survey "What country is rated as having the unhappiest people on Earth?" "They came out bottom, but they have many, many reasons to be that unhappy. ... It's collapsed in the last 11 years, and I've been told by economists that it's been the most precipitous contraction of any economy in peacetime that they've seen. In 2000, it went into this death spiral and it started with the invasion of commercial agriculture. But really what happened at that point was it triggered hyperinflation. So by 2008, for example, the Zimbabwe dollar was halving in value every 24 hours. So basically you just couldn't hold money. ... [Also,] at it's worst, [the life expectancy] went down into the late 30s, and that was a lethal cocktail of HIV/AIDS, of lack of nutrition — at one point 70 percent of rural Zimbabweans were relying on a form of food aid. So you had these Zimbabweans who were already very, very ill and if they got HIV/AIDs, they tended to die very quickly. [There was also] a complete and utter collapse of the entire health care system. These torture victims that I write about got to hospitals to discover that there's no electricity, there's no running water, there's no drugs and the staff are all on strike." "On the one hand, I wasn't supposed to be in Zimbabwe and I didn't want to blow my cover. But on the other hand, I thought it was an opportunity that had been handed to me. This was right at the beginning of the torture, where I could actually tell him what had been going on and see if there was any way that he could intercede with Mugabe. This is somebody who saw him often, who clearly had his ear. So I told him what was going on, and he was clearly embarrassed and trying to get rid of me. I just sort of clung to me. I made him promise to come to one of the hospitals. I would show him round the next day. Of course, I never expected him to show and I called him and called him and got no reply. ... Eventually he did show up and I walked him through the wards, getting each person to tell their stories to him, so I knew, at least, that he knew. It was quite interesting watching him. By the end of it, he looked absolutely kind of ashen." "I can't help thinking that a reason that nobody talks about intervening in Zimbabwe is that it's not considered strategic. So it lacks the two trigger exports that would gain an intervention, and those exports are oil and international terrorism. 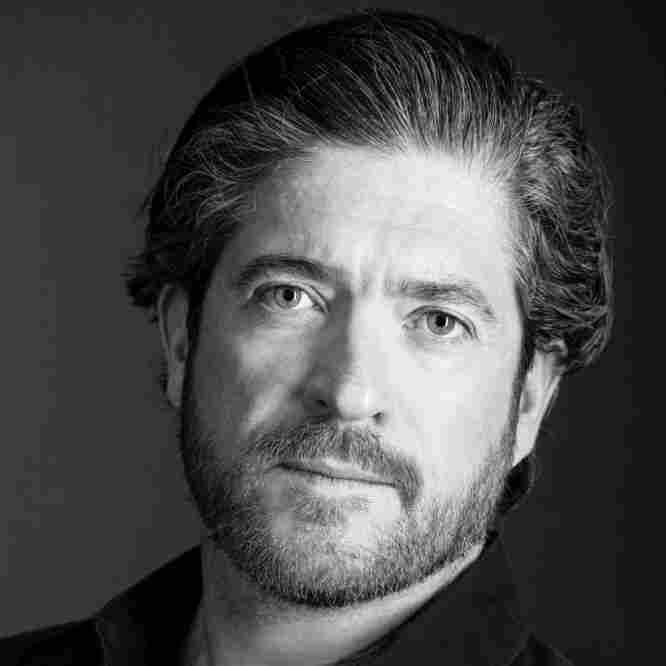 It doesn't export either of those two things that tend to attract Western intervention." "As he was dying, he did ask me for one thing, and that was that he wanted to be cremated. And I was so preoccupied organizing the funeral — nobody had fuel to get there and we couldn't find any flour to make the cakes — and suddenly, after the funeral, I thought 'I need to make a booking at the crematorium,' and called up the crematorium and they said, 'No, no, we don't have any gas — any butane — we haven't had it for weeks and weeks.' ... I phoned the Hindu Society and asked them if I would be allowed to burn his body myself on a funeral pyre. They said eventually that I could do it, but as the eldest son, I would have to be the person who actually did it. So we built a huge funeral pyre and the undertakers delivered the body there and I lit it and it burned for 24 hours." I am on my way home to Zimbabwe, to dance on Robert Mugabe's political grave. The crooked elections he has just held have spun out of his control, and after twenty-eight years the world's oldest leader is about to be toppled. When I arrive the next evening in Harare, the capital, his portrait is everywhere still, staring balefully down at us. From the walls of the airport, as the immigration officer harvests my U.S. dollars, sweeping them across his worn wooden counter, and softly thumping a smudged blue visa into my passport. From the campaign placards pasted to the posts of the broken street lights, during our feral packs of hollow-chested dogs, he raises his fist into the sultry dome of night, as though blaming the fates for his mutinous subjects. The Fist of Empowerment, his caption fleetingly promises our insect-flecked beams. Somehow, though, his large gold-rimmed spectacles, the little tuft of starched white handkerchief that winks from his brandished clench, and his toothbrush mustache tell a different story. The story of the prissy schoolmaster he once was, a slight, almost effeminate figure, his small, manicured hands given to birdlike gestures. And indeed, if you were casting the role of "homicidal African dictator who fights his way to power and stays there against the odds for nearly three decades," Robert Mugabe wouldn't even rate a call-back. This is no swaggering askari, no Idi Amin Dada, heavyweight boxing champion of the King's African Rifles, nor some wide-shouldered, medal-strewn Nigerian general. This is an altogether more dangerous dictator — an intellectual, a spiteful African Robespierre who has outlasted them all. Eighty-four years old now, with his dyed black hair and his blood transfusions, his Botox and vitamin- cocktail shots, he has querulously dominated his country for a generation. But now he is on the verge of an exit. Five days ago, presidential elections, which he has fixed with ease in the past, using a combination of rigging, fraud and intimidation, have gone wrong. Zimbabweans have rejected him in such overwhelming numbers that he will finally be forced to accept their verdict. They have many reasons to reject him. Once they enjoyed the highest standard of living in Africa. Now their money is nearly worthless, halving in value every twenty-four hours. Only 6 percent of workers have jobs. Their incomes have sunk to pre-1950 levels. They are starving. Their schools are closed, their hospitals collapsed. Their life expectancy has crashed from sixty to thirty-six. They have the world's highest ratio of orphans. They are officially the unhappiest people on earth, and they are fleeing the shattered country in their millions — an exodus of up to a third of the population. But throughout this election campaign, Mugabe has remained belligerently unrepentant, blaming the country's ills on the West — Britain, the former colonizer, in particular — and using the tiny number of whites remaining in Zimbabwe as political piñatas. He thwacks them and out pour the stale bonbons of historic blame to excuse his own shattering failure of leadership, his own rampant megalomania. In a few days, he will meet with his politburo to contemplate his own farewell. I've been anticipating this moment for so long. On my flights across the world to get here, I have reread Gabriel García Márquez's The Autumn of the Patriarch, and relished the scene in which sharp-beaked vultures, maddened by the stink of human carrion, tear their way through the mosquito screens of the imperial palace, alerting the citizens in the city below to the death of the dictator, and allowing their future to begin. My younger sister, Georgina, a broadcaster who now lives in London, is joining me here. We are supposed to be staying at York Lodge, a small pension in Harare's northern suburbs, but when Georgina calls to confirm, the manager brusquely informs her that our rooms are no longer available, and hangs up. Later we find out that the lodge is being raided by the police looking for Western journalists, who are banned from reporting in this country. As Georgina is on the line, the police are arresting the correspondents from the New York Times and the Daily Telegraph. "Clear Out the Dirt," three years ago, when Mugabe— scared by growing hostility toward him in the urban areas — forcibly cleared out "informal housing" and street markets, leaving the cities dull and quiet. His police demolished the shops and dwellings (many of them quite substantial) of more than seven hundred thousand people, whom they dumped on barren land miles away, at the onset of winter, without water or sanitation. In all, this sham "slum clearance" operation devastated the lives of more than three million people. In the other direction, my view is over a busy intersection, commanded by wildly erratic traffic lights. Sometimes they are resolutely blank. Sometimes they show red or flashing amber to all roads. Oncoming vehicles play a game of chicken, using pedestrians as shields, and auditing a number of factors to determine who goes next. Big scores over small, fast over slow, old over new, dilapidated over luxury, man over woman, black over white. It gets most interesting when the lights, as they quite often do, summon traffic from all directions simultaneously, with a cheery green come-on. Quite regularly, the crunch of metal, the jangle of glass, and the squall of argument summon me to my window to view another accident. Everyone gives way to the frequently passing police pick‑up trucks overloaded with riot-squad officers. The men are terribly young, riot interns really, not yet fully adult, pupas with brand- new blue fatigues and helmets. They remind me of myself at eighteen, still at police training depot, in the same uniform, "riot blues," drafted into service of an earlier regime. I wonder, as we all do, whether these underage gladiators will fire at their own people when ordered. Excerpted from The Fear: Robert Mugabe and the Martyrdom of Zimbabwe by Peter Godwin. Copyright 2010 by Peter Godwin. Published by Little, Brown and Co. All rights reserved.